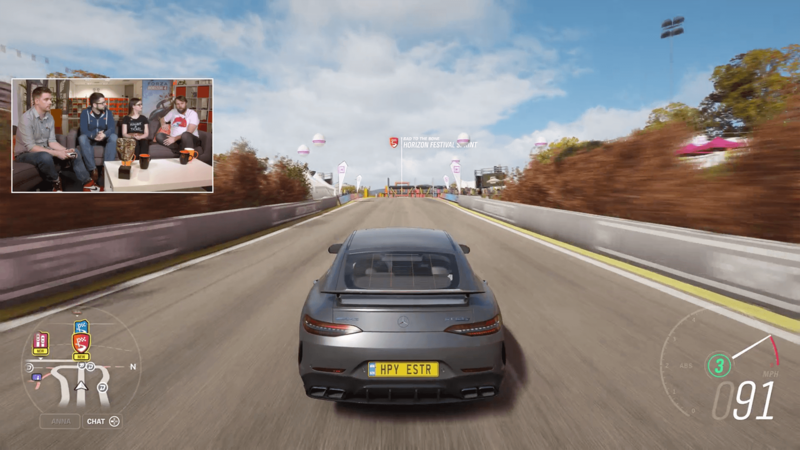 Discussion in 'Forza Horizon 4' started by GTPNewsWire, Apr 8, 2019. This article was published by Kyle Patrick (@SlipZtrEm) on April 8th, 2019 in the Forza Horizon 4 category. KiroKai and White Mamba like this. Now that was fast! I guess the Fury is the same 1958 "Christine" from previous Forza Games. I would rather try the 1975 version with the police lights tough, but I won't complain. More cars is always better. Can't wait for the Merc! Oh, and the new features for Online Adventures are just awesome news. 53Nicolas and Apple Slipper like this. That was a great stream by PG! The new update containing new cars, features and modes are what has me excited!! I am loving these new updates by both PG and T10! Seriously, their efforts in FH4 and FM7 have been excellent! Oh, and their communication can not go unnoticed. It has been the best. LOVE IT!!! CTstryk, FT-1, Apple Slipper and 1 other person like this. More wheel spacers? Cool, that'll be useful. No more freeroam rush in online road races? OMGYESFINALLY! The drift mode? Eh why not. I'm not the most driftastic player, but i know lots of people will enjoy it. The new cars? Meh... they'll be cool, but i don't really care about them from what I see. That Nissan Navara... OOPS! I mean, "Mercedes Benz" X-Class is unexpected! I love those light, basic trucks. They should include more of these "third-world" trucks, like the VW Amarok, Toyota Hilux (never going to happen), Mitsubishi L200, etc. Reminds me of home. Gtspeedturbo, WanganDream and 53Nicolas like this. Non American = Third World? Those ones are basically world wide apart from North America. Gtspeedturbo, curtis 1-8-7, Nexus and 5 others like this. I'd like to see how the BJ Bronco can handle the off road trails. And the hot rods, Chevelle and Cuda will be fun cruisers. Just as I was getting tired of this game, I am given a reason to come back. I sure hope they'll have the top down on the Cuda this time. The update is all nice and all, but for painting, rather then the layer mask, I'd like to finally have the brake caliper painting option. Edit: Also, doesn't it look like from the picture that there will be an option to paint the hood only? If so, why not the damn calipers as well? BJ Bronco, yes! The car I wanted to import most into the FH4 with the BJ Car Pack. This car has a bigger tire and lifted suspension than the stock Bronco. Landcruiser AT37 was a best beast for me. BJ Bronco is also expecting to have the same performance as this car. And I will love drift adventure. The 7 minute time limit is a bit too long, but this mode is always because all cars are ghosts. I only drift a little for 20 minutes and I can complete one of the troublesome season challenges. I was going to say, we have a lot of those pickups around here, does that mean I live in the third world? Regarding the update it's looking really good and might bring me back to the game. I really want to try the new car pack out and things like extra spacers and bodykits are always welcome, as are improvements to the decals system. Way-hey! A crap car pack and if you want the Mercs you need to have plenty of free time and of course XBLG to get them. No thanks, don't think I'll bother. Sorry Microsoft, you won't be coercing me into getting Gold. You must have been off-planet for past 3 weeks, you don't need Gold to get the bonus cars, 80% is achievable without online play. Neither do you need plenty of free time. I have been doing (almost) 100% in one evening past 3 seasons. Without the online part, the content is still the same as before playlist, so I don't get the ranting. Gtspeedturbo, 53Nicolas, Simmywheels and 1 other person like this. The AMG GT 4 is the 50% reward which is easily manageable and doesn’t require gold, and the X Class is a reward for a championship which is all of three races. No “plenty of free time” needed for either. I think you needed to do the trial events (the ones where you team up with others against unbeatable drivatars) to get 80% percent. But correct me if I'm wrong. Anyway, 50% is pretty generous and I'm glad they are finally learning from their mistakes and trying to make the game fun again. More cars are more cars, which is good, but not really any here which excite me. Still too many excellent cars left behind in FH3. HopAlong and 53Nicolas like this. Ranked Online Adventure is 18% while Trial and Playground Games are both 7%, so you need Gold for 80%. But I don't get why are some people bringing up grinding excuse all the time. The only thing you need to "grind" is Ranked. But you can qualify for ranked during all 4 seasons. So you can do 3 adventures in each season (maybe 1,5h) while the other events can be done in another 1,5h. And you even don't need to complete all dailies. So it's just 3h of playing each week to get 80%. Can 3h per week really be considered grinding? You know, if you don't have 3h of free time to play the game than also the rewards are pointless... IMO. I should have been more specific. I do come from an under developed country and those things were very common. So it's what comes to mind whenever I see that kind of vehicle. I know they are also common in places like Australia. To be fair, I took you to mean places you'd likely see small, tough pick ups with UN written on the side, where their reliability and durability are paramount. And that's what's cool about these light commercial trucks. They are pretty much indestructible and they will go anywhere. And they can be fixed with a hammer if needed. It's the beauty of simplicity and an oldschool body-over-frame architecture. Masking! Awesome! Finally Forza has a feature that Midnight Club LA had on the PS3/X360! Getting rid of FRR in road-based adventures, but keeping it for offroad and dirt ones, is a good compromise that makes sense. I've always liked the concept of having a freeform "race" to a point that rewards knowledge of the map and risky maneuvers, but with the road races it always led to people picking stupid vehicles, or having a horrible time driving offroad in a Ferrari or whatever. submaniac93 and Populuxe Cowboy like this. There are currently 100 pages of people wishing for their favorite cars. There are thousands of cars from all the eras. Some are just variations of existing models like the M2 with automatic gear. Some are "MUST HAVE!!!! ", some are "would be nice to ad". There is a lot of Supras too. Anyway welcome to the club. I'm really bitter... Didn't get the Z4 last time and I'm not going to be able to get the Mercedes either. I should probably quickly pop into Forza Hub to get my cash. Can you get the 2019 BMW Z4 and the 2018 Mercedes AMG GT with the wheel spins? Because I don't know another way to get those cars.